All eyes on Korean innovation for our game-changing curler to lift and curl lashes for a wide-awake look. 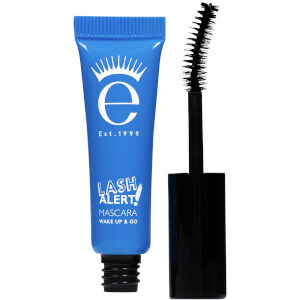 Includes Lash Alert Travel Size Mascara for defintion, volume and curl. Korean ergonomic design for enhanced performance and optimum curl! Plumped up for extra comfort to banish bent lashes, eliminating the need to pump the curler to create the perfect wide-eyed look. The contoured cage opening allows for precise positioning to ensure every lash is captured and curled whilst the cushioned silicone pad ensures effortless application lifting lashes for a longer-lasting curl. 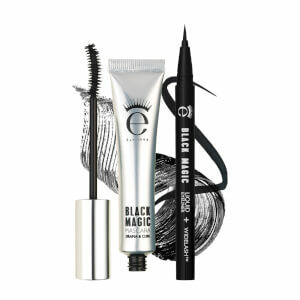 Includes travel size Lash Alert Mascara with a shot of caffeine and a double dose of fibres for a wide-awake lash look. Ensure pad is correctly in place before positioning curler over lashes. Squeeze and hold for several seconds before releasing handles and carefully removing the curler from eyes. Apply Eyeko Lash Alert Mascara to complete your look. Replace lash curler after 6 months. Aqua (Water), Acrylates/ Ethylhexyl Acrylate Copolymer, Cera Alba (Beeswax), Butyrospermum Parkii (Shea) Butter, Microcrystalline Wax, Copernicia Cerifera Cera (Carnauba) Wax, Stearic Acid, 1,2-Hexanediol, Polyglyceryl-3 Methylglucose Distearate, Magnesium Aluminum Silicate, Polyvinyl Alcohol,Triethanolamine, Isobutylene/Sodium Maleate Copolymer, Silica, Phenoxyethanol,Phenyl Trimethicone,Simethicone, Nylon-6, Dipropylene Glycol,PEG-40 Hydrogenated Castor Oil,Chlorphenesin, Dimethicone, Hydroxyethylcellulose, Disodium EDTA, Laureth-21,Alcohol, Magnolia Officinalis Bark Extract, Pentaerythrityl Tetra-Di-t-Butyl Hydroxyhydrocinnamate, Allium Sativum (Garlic) Bulb Extract, Camellia Sinensis Leaf Extract, Houttuynia Cordata Extract, Perilla Frutescens Leaf Extract, Perilla Ocymoides Seed Extract, Polygonum Multiflorum Root Extract, Arginine, Caffeine, Sodium Dehydroacetate,Angelica Gigas Root Extract, Apigenin, Astragalus Membranaceus Root Extract,Atractyloides Japonica Rhizome Extract, Biotin, Biotinoyl Tripeptide-1, Butylene Glycol, Cinnamomum Zeylanicum Bark Extract, Cnidium Of cinale Root Extract, Ethylhexylglycerin, Glycyrrhiza Glabra (Licorice) Root Extract, Oleanolic Acid, Paeonia Albiflora Root Extract, Panax Ginseng Root Extract, Poria Cocos Extract, PPG-26-Buteth-26, Rehmannia Chinensis Root Extract, Iron Oxides (CI 77499), D&C Black No. 2 (CI 77266).Created in London. Made in South Korea. Includes spare silicone pad to be replaced after 3 months. Replace Lash Curler after six months. With a shot of caffeine and a double dose of fibres for a wide-awake lash look. Select a FREE Mini of your choice at basket when you spend $35. Offer valid for a limited time only. Love the curler, can I buy another one separately? I purchased this kit mostly because the reviews about the curler were so positive, and one cannot have too many travel-sized Eyeko mascaras. I'm really happy with the curler. I am Asian with very short, straight lashes. This curler is awesome as it's shaped a little smaller and DOESN'T PINCH AT ALL, and it gives a natural curl because the rubber pad is thicker than traditional curlers. I'd like to purchase another curler if it's ever available. I'm not crazy about the wand on the mascara as it's a little clumpy, but the mascara, just like all the Eyeko mascaras, is the best. I have to give all the Eyeko products 5 stars from my experiences so far. I think I found my new fave! I have super straight lashes and have long envied those with curled lashes. The big cushion on this curler gives a super natural curl (makes me look just like those who are naturally blessed!) 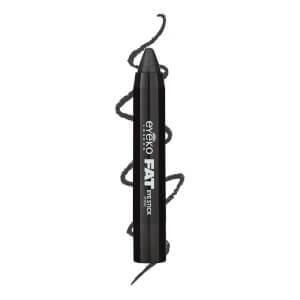 Instead of getting weird crimps like other lash curlers, this one gives a rounded effect. I love how natural it looks with and without the mascara! The mascara is great and perfect for travelling too. This is by far the best lash curler I think I've ever used. It feels effortless, you don't have to do it for a long time, it's nice and light. No kinks either - just a really nice smooth curl. 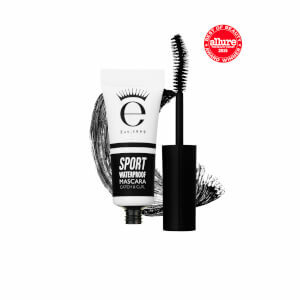 its perfect for travel and doesn't damage my lashes when I curl! Love lash alert too so its a great combo!